162 x 132 x 20mm – Internal measurements. Suitable for sending items through the post as Large Letter size. 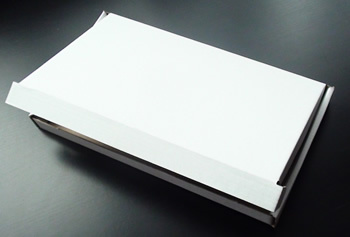 Weight of box: 30g. 225 x 132 x 20mm – Internal measurements. Suitable for sending items through the post as Large Letter size. Weight of box: 38g. 347 x 162 x 20mm – Internal measurements. Suitable for sending items through the post as Large Letter size. Weight of box: 64g. 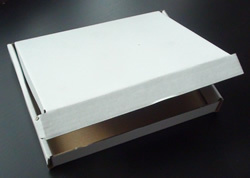 10 Pizza Style Boxes 440 x 340 x 75mm (17.3 x 13.4 x 2.95") External measurements 450 x 350 x 80mm to fall within the Post Office Small Parcel rate.